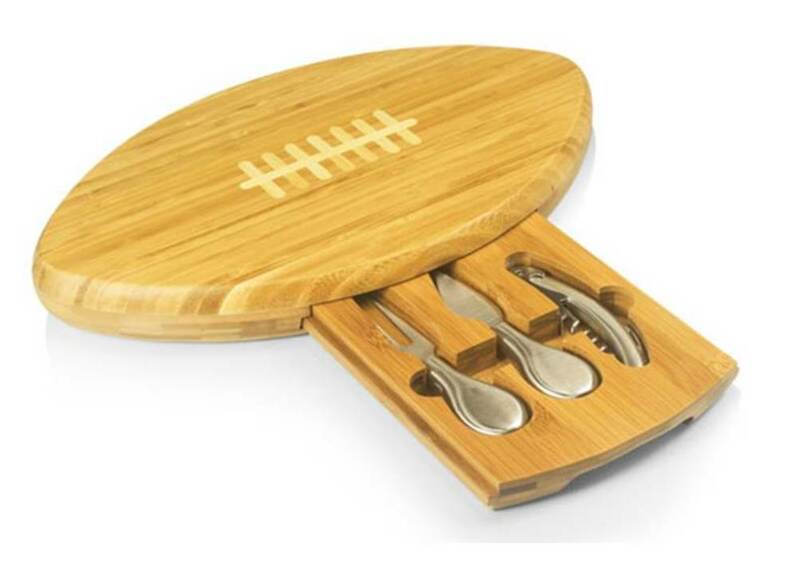 Football Bamboo Cutting Board with Cheese and Wine Tools- GREAT GIFT IDEA! Home » BambooBeeMe's booth » Football Bamboo Cutting Board with Cheese and Wine Tools- GREAT GIFT IDEA! Top-Rated SellerBambooBeeMe consistently earns high ratings from buyers thanks to fast shipping and excellent service. Premium SellerBambooBeeMe has been a Gold member on Bonanza since December 19, 2014. All items except for Lucky Bamboo plants and arrangements are refundable within 14 days of receipt. Items must be returned in resellable condition. Buyer is responsible for all return shipping fees. Any and all shipping fees are non-refundable. Photos will be required for all damage claims. A 20% Restocking fee will apply to all Furniture, Room Dividers, Garden Supplies and purchases over 100.00.